Dubai: The Awqaf and Minors Affairs Foundation (AMAF) has partnered with the UN World Food Programme (WFP) to assist in supplying people caught in disasters and conflicts with ready-to-eat meals through its humanitarian aid programme. AMAF aims to boost international humanitarian aid through the Salma Humanitarian Aid programme and related projects. The initiative is a core component of Dubai’s strategy to become the global capital of Islamic economy. “The arrangement with World Food Programme is just like any another arrangement that we’ve had in the past. 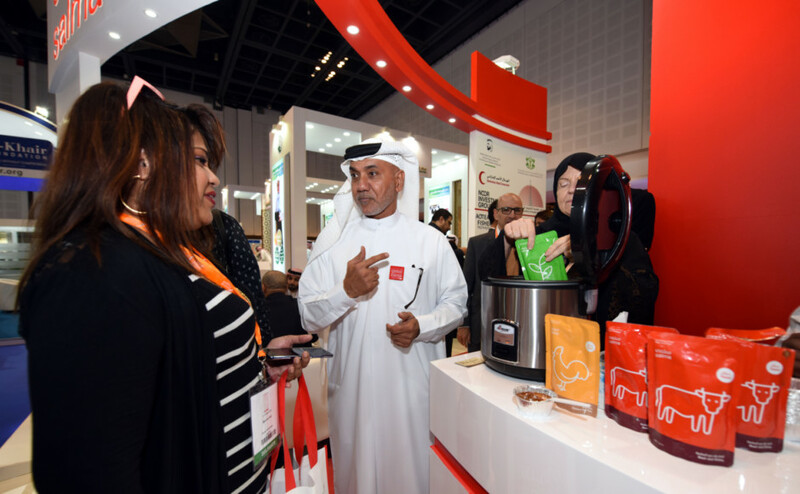 They have a budget, they can buy that and at the same time, we will be collecting donations to purchase food,” Tayeb Al Rais, secretary-general of AMAF, told Gulf News at the 13th Dubai International Humanitarian Aid and Development Conference and Exhibition. DIHAD is a gathering of international and local humanitarian aid organisations supported by the Mohammad Bin Rashid Al Maktoum Humanitarian and Charity Establishment, the United Nations, Emirates Red Crescent, Organisation of Islamic Cooperation, International Humanitarian City, the General Directorate of Residency and Foreigners Affairs – Dubai and Dubai Cares. This year’s conference focuses on the importance of innovation in humanitarian aid and development. The food will come in the form of Salma, a 100 per cent halal, highly nutritious food, which is a UAE-based initiative. The packaging of the meals is made from the same materials used for space-age pouches, specifically designed to withstand the most extreme conditions. Al Rais said Salma is designed to be the best type of food to be sent as a first response to a crisis. Aside from being additive-free, they also made sure that there is something for everyone — vegetarians and non-vegetarians. “Salma doesn’t look at colour, race, or religion so we could be anywhere, anytime, supporting anyone. If you go back to Islam, it says, ‘Spend for what you like.’ God instructed us to give from what we like and that’s [salma] the same thing that we eat,” Al Rais said. “These people are caught in disasters, so the programme looks at these people as humans, not as objects. The meat in this packet is the exact meat that you and I buy at the supermarket shelves,” he added. The meal pouches are best for distribution in hard-to-reach areas as they can be air-dropped to people in need of food. Al Rais said residents can help feed refugees and displaced people by donating even just Dh10 for one pouch. AMAF has distributed nearly 500,000 pouches in conflict areas in Gaza, Palestine, Socotra, Syrian refugee camps in Jordan, Togo, Nigeria and Burkina Faso. Or visit www.salmaaid.com to donate online.